The Bridgestone Potenza RE960AS Pole Position tire is Bridgestone’s ultra high performance all season radial that offers race car like handling with all season traction. 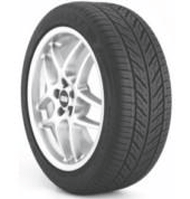 UNI-T AQII technology and a Silica compound in the tread combine to give this tire excellent wet and dry performance. The Potenza Pole Position ranges in price from around $75 for the 14″ series, up to around $330 for a massive 285/30R20. Get the Potenza RE960AS Pole Position Bridgestone tire coupons below (if exist), or find another tire discounts and reviews here.